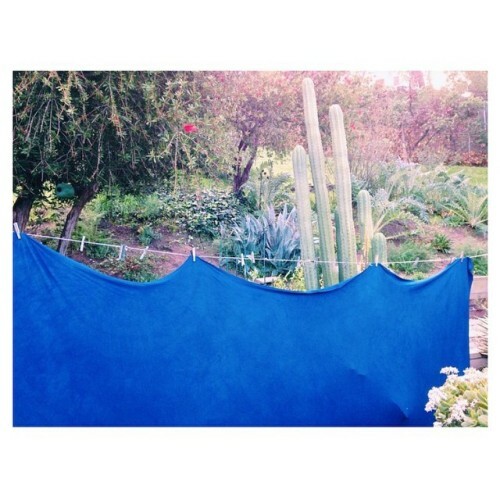 this season we’re so fortunate to work with amazing local dye... | boy+girl . this season we’re so fortunate to work with amazing local dye artisan @ermiegram to hand dip-dye indigo. a behind the scenes look at her beautiful backyard studio scene, this fabric soon to be cut into our men’s hoodies and crew pullovers.